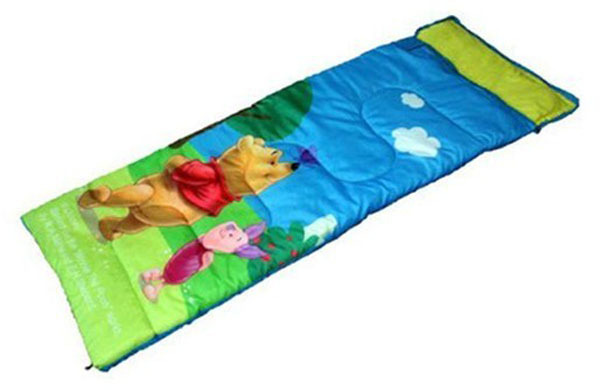 Product categories of Kids Sleeping Bag, we are specialized manufacturers from China, Kids Sleeping Bag, Personalized Kids Sleeping Bag suppliers/factory, wholesale high-quality products of Kids Camping Sleeping Bags R & D and manufacturing, we have the perfect after-sales service and technical support. Look forward to your cooperation! Kid's Sleeping Bag/Children Sleeping Bag is kid's outdoor bed. When family go to camping,it is very cold when night is coming,But they can not just sleep in the tent. Normal sleeping bag can not hold 2-3 person together in one sleeping bag. So kid's sleeping bag appears and children can sleep in their lovely "bed" close to their parents. The sleeping bag has good warm affects. So that the whole family can spend happy time but do not need to care too much about their children. For the fabric of kid's sleeping bag,we must have strict test. It can not have chemical constituents which are bad for children's health. Also it must be fire proofed to cover the children.